This slimline audio intercom kit is ideal for installation in areas where there is limited space next to a door or gate entry point. When a caller presses the call button, this will make the handset ring, and on answering it, the caller and occupant can have a two way conversation. There is a lock release button on the handset allowing the occupant to open the door when the kit is combined with an electronic locking device. 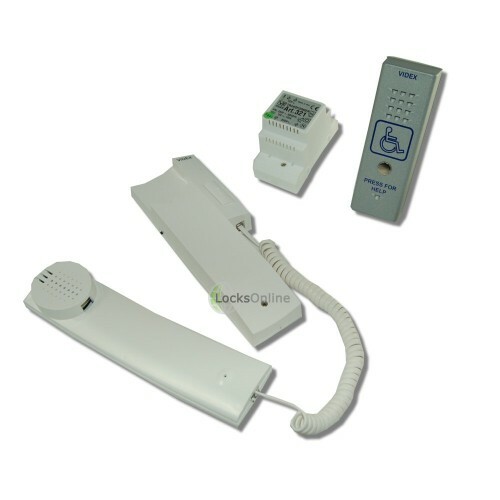 If desired, the occupant is also able to speak with the call unit without the call button having been pressed. 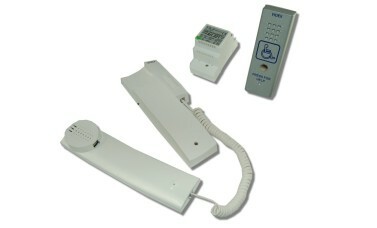 Audio Wall Mountable Handset with Lock Release Button. Please note, these DDA systems are built to order and therefore may take an extra couple of days to get to you.